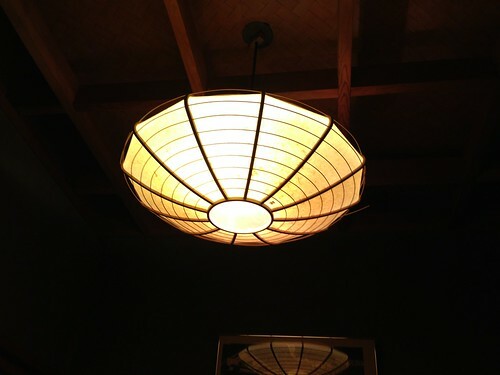 Kibune Sushi is one of my three favourite restaurants in Vancouver. I would have promoted it more in the past, but like many others, I suspect, I’ve selfishly tried to save it for myself. However, on behalf of the lovely owners and staff of this restaurant—Endo-san and Yoko and all our other friends there—I wanted to give it the recognition it is due. 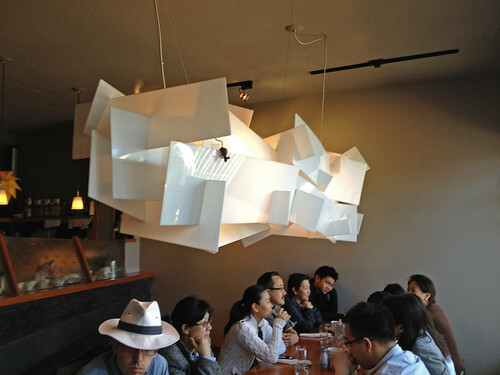 Beautiful lamp commissioned by my friend Patrick Tubajon, proprietor of gorgeous Gudrun Restaurant in Steveston, BC. Steveston is a historic and still operating fishing and cannery village in the mouth of the Fraser River, just half an hour S. of Vancouver. Historically it was a dominantly Japanese-Canadian community until most of the population was interned in WWII and their possessions confiscated in one of the most disgraceful acts in Canadian history. 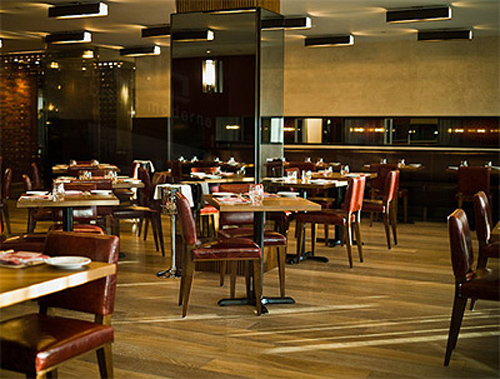 Above: db Bistro, now closed. Overrefined corporate decor, dreary and visually bleak. New York in the 80s? 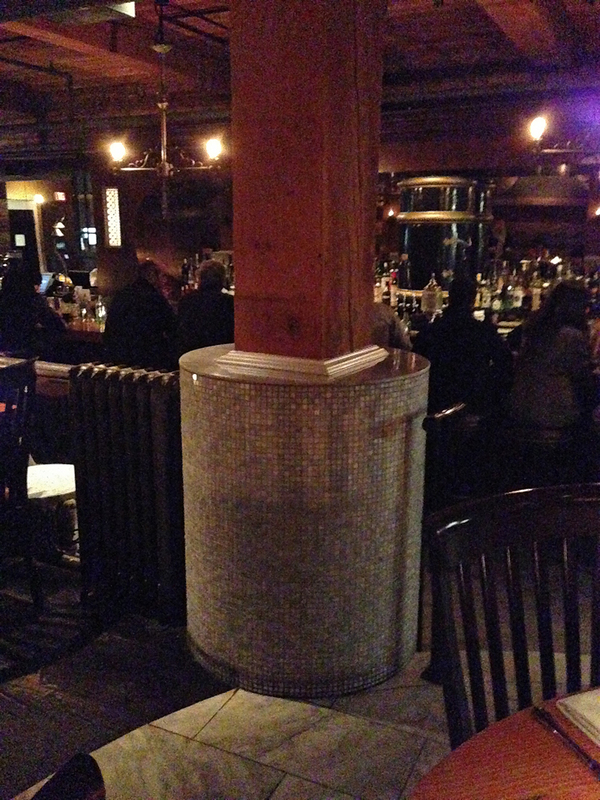 Vancouver is overrun with restaurants blighted not just with notably bad art but also with a type of generic commercial decor that makes you want to throw cutlery. Charlie or Carlos Mexican Food. Charlie or Carlos, he’s not a purist. 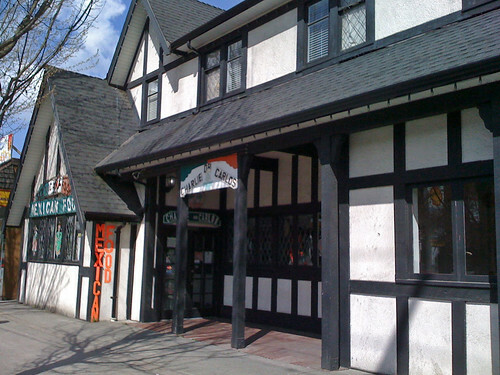 Your average Mexican Tudor pub, Port Coquitlam, B.C. 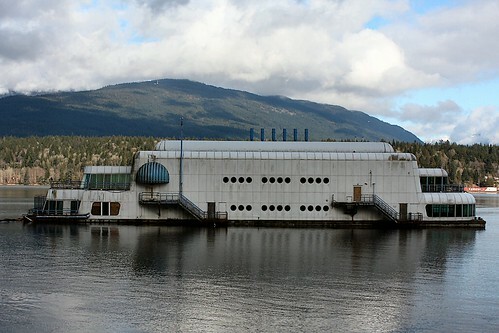 This thing, known as McBarge by Vancouverites, is the hulking remains of a floating McDonalds. It was custom-built for our Expo ’86 World’s Fair and then carelessly left rusting in the harbour for 23 years as some sort of ghost ship. I hadn’t thought about it until this week when I saw a funny conceptual artwork by Kate Sansom in the current exhibition Science Fiction_01 at Vancouver’s Or Gallery, where the artist has set up an office inside the gallery as a research base for tracking down McBarge’s unknown current owners and discovering what they ever intend to do with it.